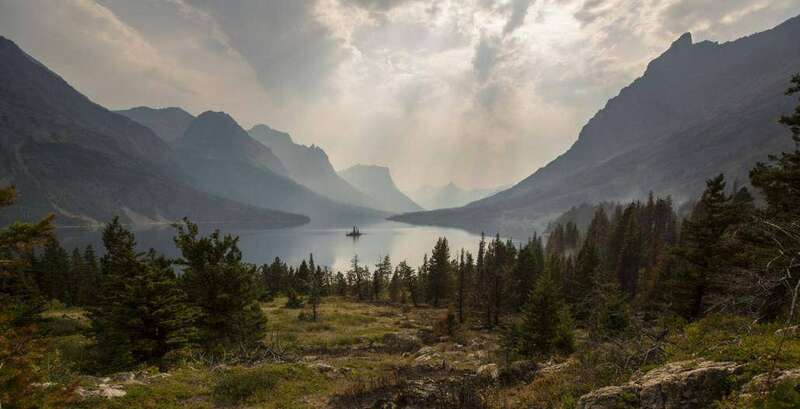 Whether you head outside for your job, your hobby or simply to explore, you’re sure to have noticed how much better being outdoors can make you feel. Feeling the wind on your face, the sound of the rain or the warmth of the sun on your back, being outdoors makes you feel truly alive, but why? 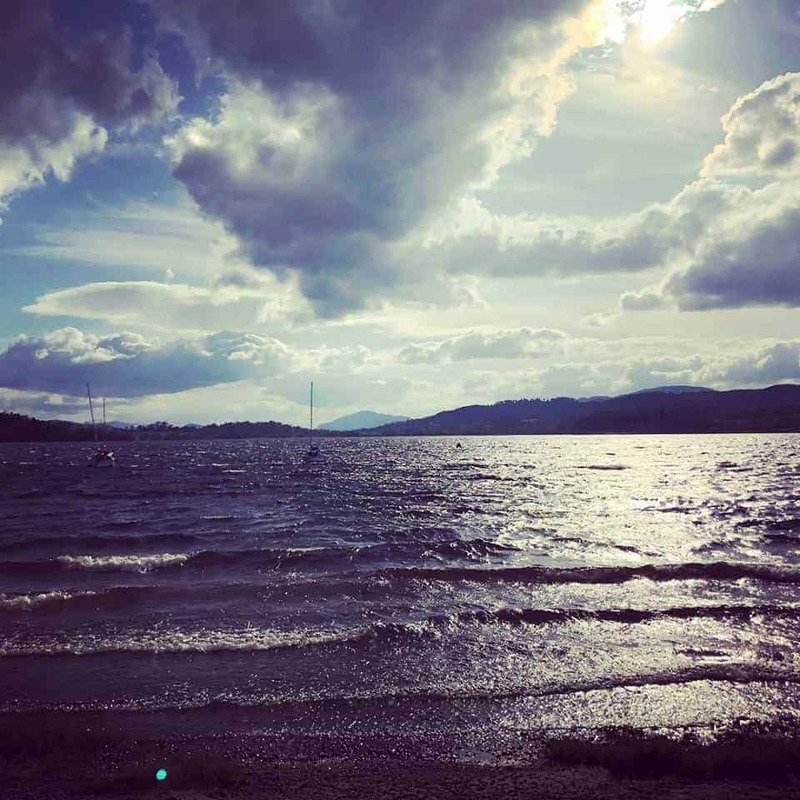 In our increasingly busy lives, with many of us being pulled between the demands of our work and home life, we can all be guilty of neglecting our physical and mental health. Multitasking, particularly with electrical devices, is one of the leading causes of stress in the western world. People who are constantly ‘connected’ and able to receive calls, emails, messages and social media updates have been found to have higher levels of physical and mental stress, so taking a break is essential. The longer the break from being so ‘connected’ the better the health benefits. 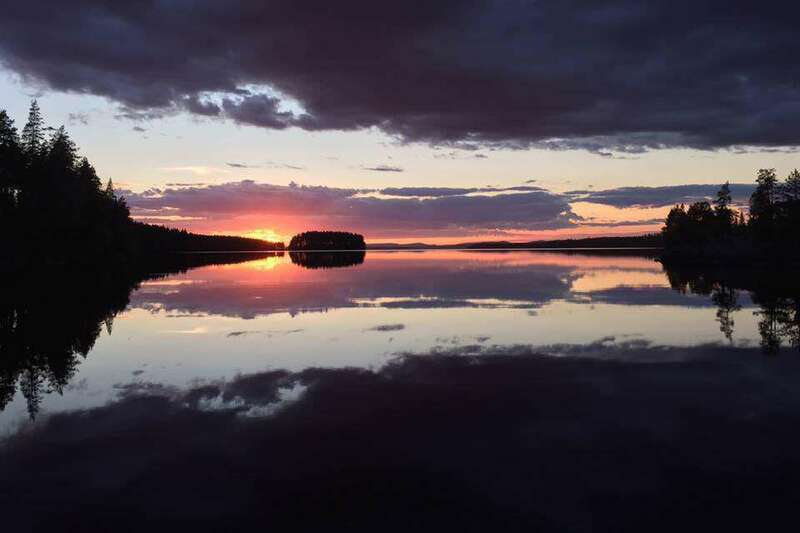 So taking an ‘off-grid’ break to become connected with nature rather than wifi will do wonders for your health as well as allowing your body and mind to fully recharge. Why does time in nature actually make us feel so much better though? There is strong scientific evidence showing that time in nature helps to reduce the stress hormone, cortisol, in our bodies. If your body is under constant stress for prolonged periods of time this can be damaging to your general health, your mental state and will limit your ability to lead a full and active life. A reduction in stress helps to reduce our blood pressure which reduces the pressure on all of your vital organs. It also helps to boost our mood as well as improving memory and concentration. Other studies have shown time in nature helps to reduce symptoms of depression and anxiety. These are significant findings being as at least half of us will suffer from these health challenges in our lifetime. Being outside makes us move more too, and movement is essential for good health. It doesn’t need to be a rigid exercise plan to get the physical benefits. Those of us who are active outside will have increased functional fitness and strength. This is because we will be more inclined to move in a way that nature intended rather than just making repetitive movements. Even walking outside on undulating ground where your body has to balance itself and engage the muscles needed for good posture and balance is far better than walking on level flooring inside. Daily life can pull us into unhealthy habits without even realising. Many of us are guilty of spending too long staring at a screen during our daily life. This exposure to blue light from screens can have a detrimental effect on our sleep patterns, and let’s face it, a good night’s sleep is the backbone of good health. Not to worry though as this can be easily dealt with. Reducing screen time and increasing time in natural light will mean that your body’s natural sleep patterns are reprogrammed in no time. This will lead to a relaxed and natural sleep pattern which your body will thank you for. Finally, and possibly my favourite reason for spending time outdoors is the noise, or lack of it. Every day life can be constantly noisy which adds to increasing stress levels. 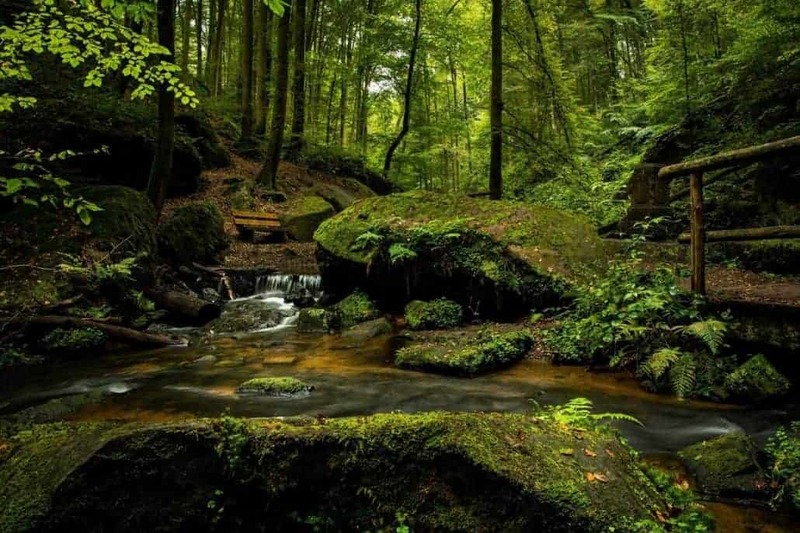 Time out in the quietness of nature will help to calm your mind, recharge and get the most out of life. 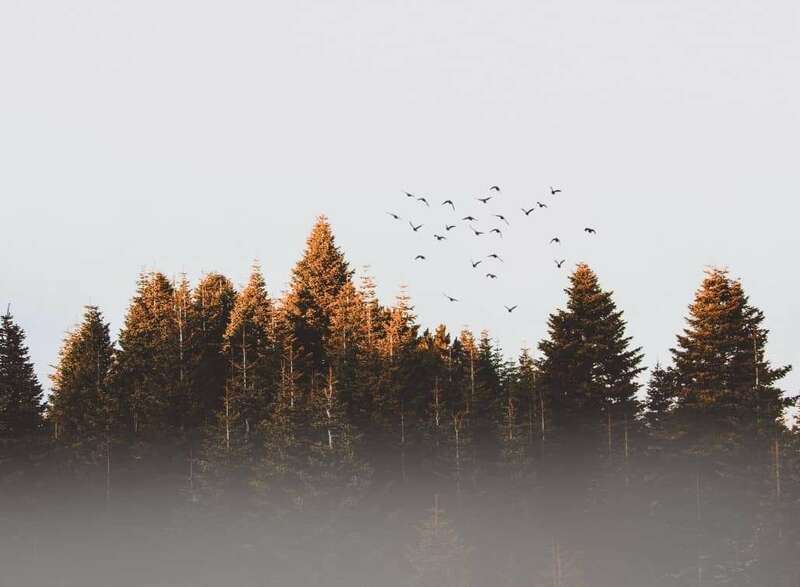 What’s more, time in nature is found to be so beneficial that Drs in many countries are now prescribing time in nature, or forest bathing as it’s often called. So if you needed another reason to close your laptop and put your boots on, your health is probably the best excuse yet. So what are you waiting for, get out there and explore the great outdoors. Trust me, your body will thank you for it. Nature can reduce the level of cortisol, the stress hormone, in our bodies. Time in nature can help to reduce symptoms of depression and anxiety. We move more when we are outside, leading to improved fitness. 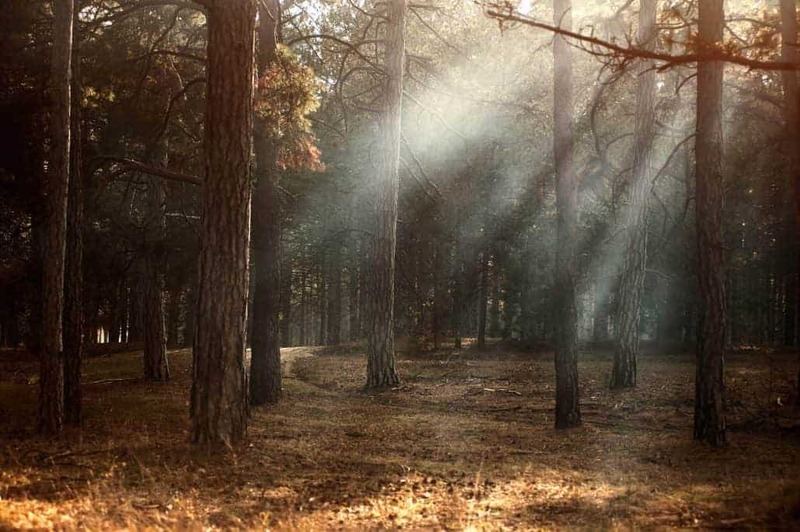 The natural light of the outdoors helps us to improve our sleep patterns. Being outside reduces the noise, and therefore stress levels, in our lives. After a hard day walking in winter conditions, there is nothing better than a hot brew. That’s why, in this blog, we will be looking at how to make the most of your stove in winter conditions. When we’re looking at winter conditions we are looking at those in places of the UK such as the Brecon Beacons, Dartmoor, and the South West in general. We will not be considering winter conditions in mountainous regions or Scotland where winter conditions can be equivalent to the Arctic. Read on to learn more about maximising your stove use in winter. This blog is simply an overview of the different types of stoves and their effectiveness in winter. It does not compare stove types nor the enormous number of variations which can impact on the stove’s effectiveness. These variations include things such as, the altitude that the stove is being used at, the type of windshield being used, the temperature of the fuel beforehand, the wind speed/direction and of course the experience of the person using it. Solid fuel stoves use either fuel blocks, such as ‘hex’ blocks or alcohol gels. One of the main drawbacks with these types of stoves is that the fuel is not readily available in your local camping store, nor can you control the heat output of the stove. The fuel is unlikely to be affected by winter temperatures but is obviously prey to the conditions that affect all stoves in winter. TREAT SOMEONE TO A WILDWAY BUSHCRAFT VOUCHER. Unpressurised liquid stoves, such as the Trangia, typically run on a methanol, parrafin, or kerosene fuels. Typically these have a lower burning temperature than gas or multi-fuel stoves and, once again, the temperature can be hard to regulate. They can be impacted badly by cold weather although there are several things that you can do to improve their performance in winter. These include, insulating the stove from the ground, using more fuel to heat the stove first, keeping the fuel insulated and warm while carrying it and while at camp. Gas stoves light instantly, without the need for priming, and are largely maintenance free. The fuel for gas stoves is generally widely available and can typically be found in local hardware stores as well as camping shops. Their performance in winter is more to do with the fuel that is being used than the stove itself. Pure butane is a poor fuel for use in stoves in winter as it stops vapourising (e.g. the gas will remain liquid) at around – 1 degrees celcius. Propane, on the other hand, can be used at temperatures down to – 42 degrees Celcius, making it an ideal choice. However, it is extremely difficult to manufacture pure propane canisters that are suitable for camping. This leaves us with a butane/propane mix, typically canisters of this type will use a 70/30 butane/propane mix. Even using this mix, however, effectiveness can be reduced in cold weather as the stove empties. Stoves of this type, such as the MSR Whisperlite, are excellent performers in all but the most extreme conditions. These stoves can be used with both gas canisters and a liquid fuel known as ‘white gas’, a pure form of gasoline. 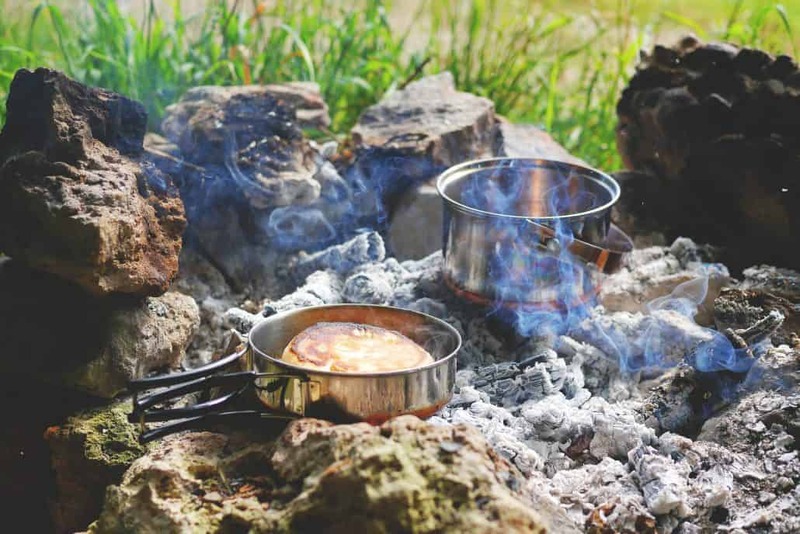 These stoves, however, can be difficult to use for novices as they typically require priming and can be prone to flare-ups, making them less than ideal for using inside one’s tent. Provided that you are able to light a fire in winter (have a look at our blogshere and here) then they can be a great source of heat, light and can be easy to cook on. However, you do need to be mindful of the environment in which you are having a fire. Provided that you are not in a genuine survival situation where anything goes then you need to consider if you have permission, the environmental impact of having a fire and, of course, how you can have a fire without leaving any trace. 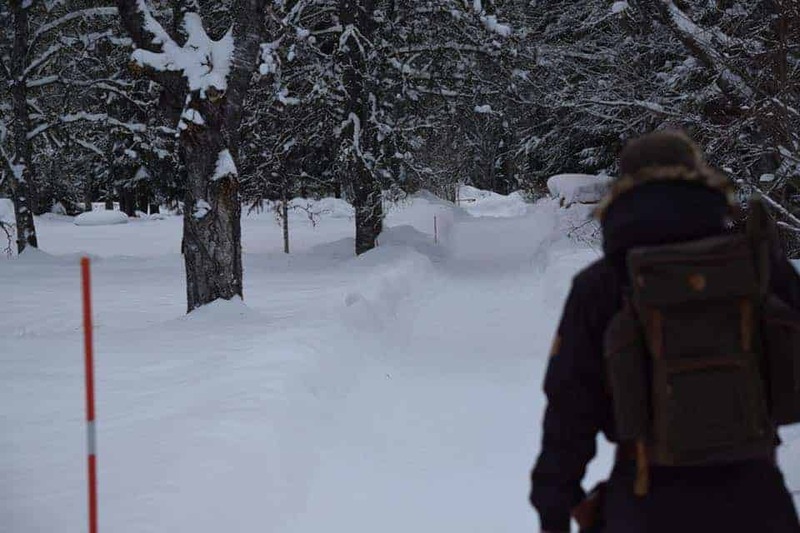 Below we have listed a few pieces of kit that are essential for going out into the woods during winter or at any time of the year. DD 3×3 TarpThe DD 3×3 Tarp is a classic of the camping world. You can read our review of it here. The tarp can be found online via DD Hammocks at the link below. This Swedish Fire Steel from Light My Fire is a great way of causing sparks and igniting your tinder. More reliable than either matches or a lighter you shouldn’t be in the woods without one. Here are some other blogs that might be of interest, use the arrows to navigate between them. 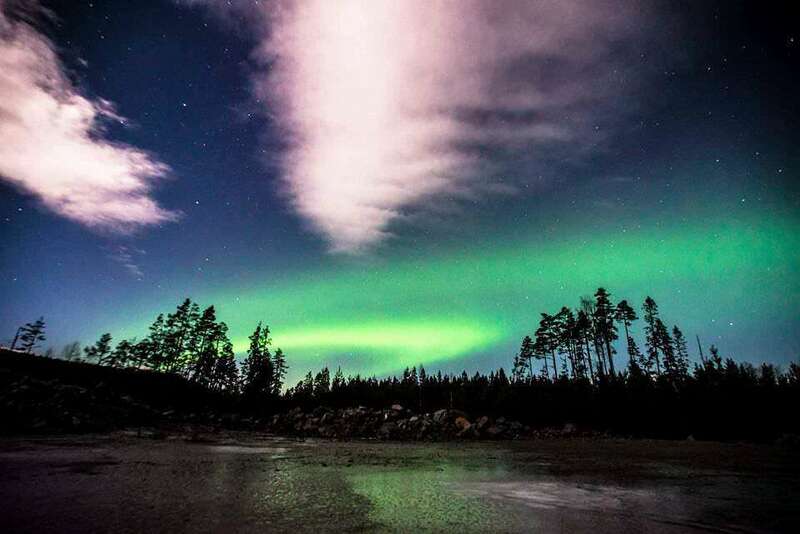 In this week’s blog, we’re going to be taking a look at camping in the winter. 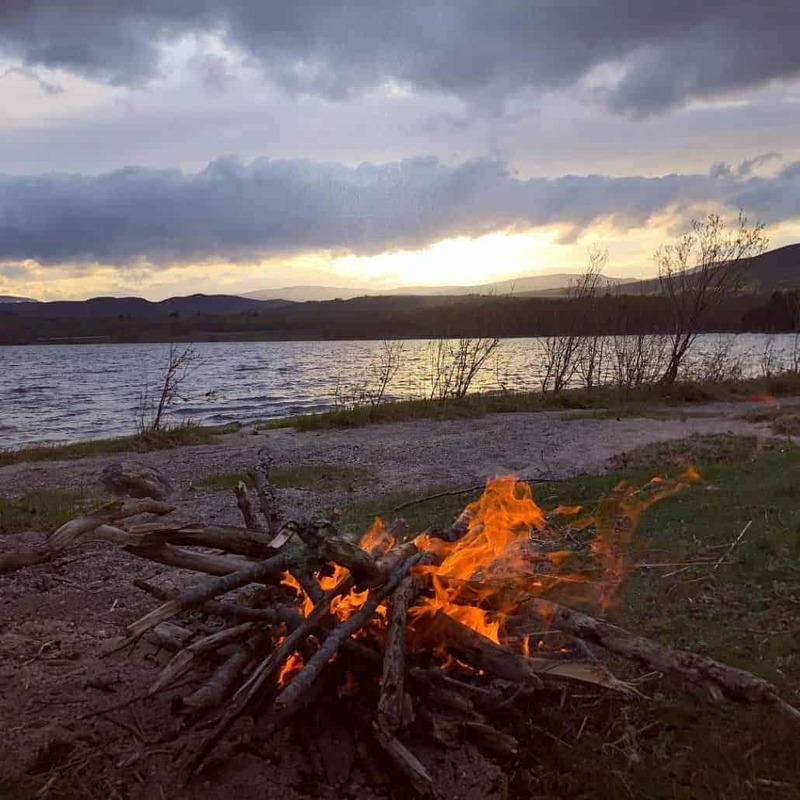 Specifically, we are going to be looking at camping in the winter in the lower areas of England, such as the Brecon Beacons and the South West. We won’t be looking at winter camping in the higher areas, such as the lakes or in Scotland where winter conditions approach the positively Arctic. This blog will focus on camping in a normal backpacking tent, e.g. not a heated tent. Read on to learn about camping in the winter. As always, feel free to read the whole blog or skip to the section that interests you the most. When it comes to camping in the winter then a lot of the discussion revolves around the kit. The kit for winter camping runs along the same principles as the kit for camping in the summer. As long as the basic principles are followed then there is no need to spend a fortune on the kit. A sleeping bag for winter in the parts of England that we are talking about needs to be rated down to the minus numbers. While certain people might sleep hot while others feel the cold there is, generally speaking, no need to splash out on anything rated below – 10. The down vs synthetic debate will rumble on, but generally speaking down is lighter weight for fill power whereas synthetic is better in damp conditions. When you’re considering purchasing a sleeping bag you should look for one that is rated along the lines of the EN13537 standards. When looking at the different ratings, you need to focus on the comfort rating, not the extreme or the limit rating. The ‘extreme’ rating is the “temperature at which the average woman can remain for six hours without risk of DEATH from hypothermia – but can still sustain cold injuries” (source: Alpkit). 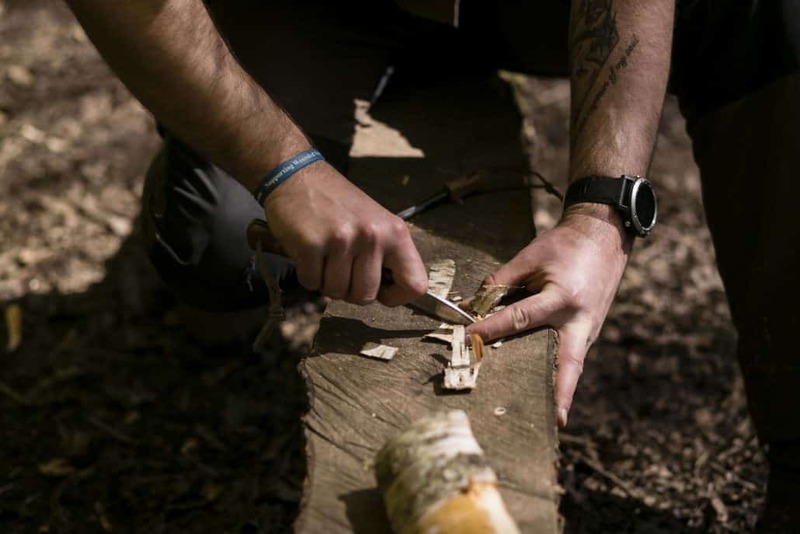 LEARN FIRE LIGHTING, SHELTER BUILDING, AXE SKILLS AND MORE ON OUR WEEKEND BUSHCRAFT COURSE. No matter what the rating of your sleeping bag you do need to work with your bag to help it to achieve the maximum possible rating. If possible, don’t compress it to its smallest size when putting it in your bag but instead put it in a larger bag in order to allow the sleeping bag to retain its loft. Keep the bag dry at all times and consider carrying it in a dry bag in order to protect it. Consider wearing thermals inside your bag to boost its rating and never wear your wet day clothes inside the bag. A decent sleeping mat is essential for a good night’s sleep. Your sleeping mat keeps you insulated away from the cold, wet ground. The more insulated from the ground you are then the warmer you are likely to be. Sleeping mats that have large chambers filled with air are likely to be comfortable but may be colder in winter conditions, whereas closed cell mats, like the classic Karrimat, are likely to be warm but uncomfortable. Perhaps it is best to consider a combination of the two types of mats. When it comes to winter camping then a good level of organisation is key to enjoying yourself. Winter conditions in the parts of the UK that we are looking at are likely to be wet, snowy and generally quite grim. With weather like that, it is important to keep organised, keep your wet and dry kit separate at all times. Store essential items that can be damaged by cold weather, such as phones or water filters, wrapped in something warm, like socks, or stored on or about your person. Winter camping involves a good deal of tent management. Consider opening ventilation flaps in all but the worst of weather in order to reduce condensation and prevent your sleeping bag getting damp. We will look at how to make the most of your stove in winter in a blog post later this month. If snowfall is heavy then you may need to get up in the night to clear snow off your tent, less it weighs on the fabric and damages it. When it comes to winter camping it is essential to upgrade your sleeping kit so that it is suitable for use in lower temperatures. Don’t just focus on the sleeping bag but also consider the quality of your sleeping mat and thermals. Organisation is also vitally important when it comes to winter camping. You need to keep your wet and dry kit separate and items that can be damaged by the cold wrapped up somewhere warm or on your person. Look after your tent, be careful of mounting snow on the side of the tent and try to pitch it with the end into the wind so as to reduce its impact on the tent. Wildway Bushcraft use a small forest axe from Gransfors Bruk. You can find out more information about Gransfors Bruk via the link below. The DD 3×3 Tarp is a classic of the camping world. You can read our review of it here. Autumn and winter in the UK can seem like a time of inactivity in the woods. For those who know where to look and what to look for there are plenty of things going on. In this blog, we’re going to take a short look at a few of the plants that make an appearance during autumn and winter in the UK. Read on to learn more or click on the links below to skip to the section that interests you the most. Lesser celandine is related to the buttercup family. It’s yellow flowers, which resemble stars, bloom from late February into May. Look for lesser celandine carpeting the woodland floors as winter begins to relax its hold on the earth. 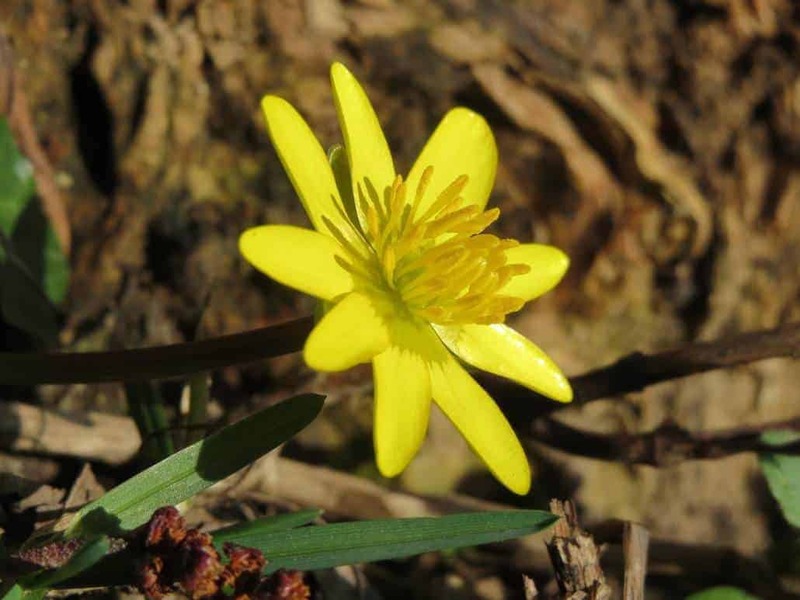 It is one of the plants that is used to provide an indication of the passing of seasonal events, for this reason, the flowering of lesser celandine is seen as a sign of spring. The flowers of lesser celandine provide an important source of nectar for bumblebees and other insects that begin to emerge in early spring. 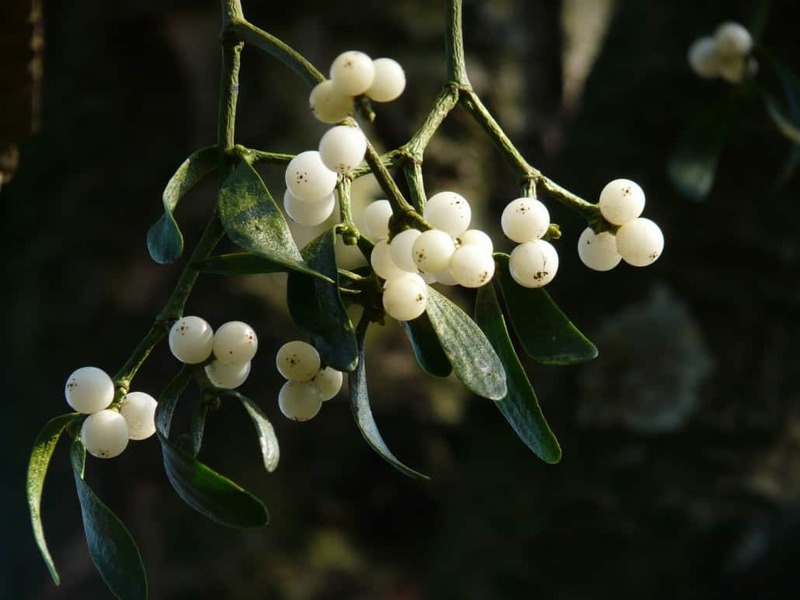 Mistletoe is so much more than just a plant for awkwardly kissing under at Christmas. This parasitic plant typically grows on plants such as hawthorn, blackthorn, and rowan. The white berries of mistletoe appear in winter while the plant itself flowers in at some point between February and April. Many animals depend upon mistletoe throughout the winter and it forms a key part of the surrounding ecosystem. The plant has associations with fertility and vitality in western medieval culture. 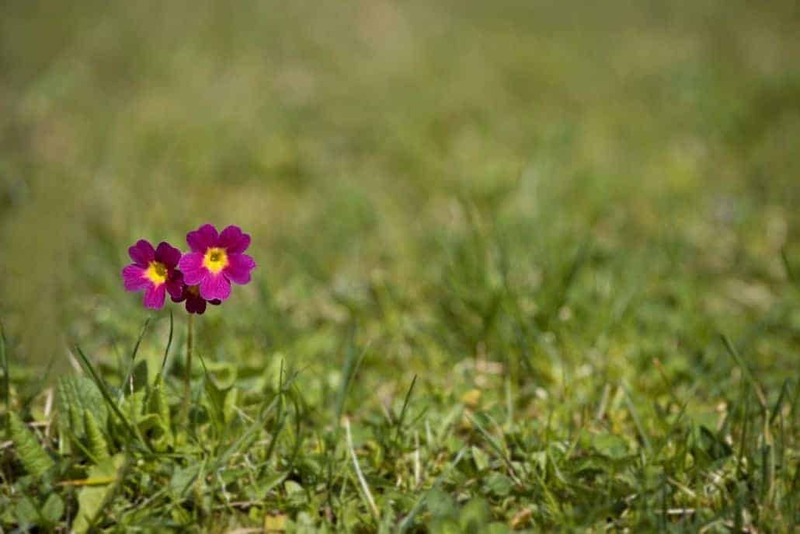 Primroses typically flower between late December and early May and are often found in woodland clearings. They are found throughout Europe, stretching in distribution from the tip of North Africa to Norway. The flowers and leaves of primroses are both edible and can be used in soups and stews. Dog’s Mercury is common throughout the UK, most often found carpeting the floor of ancient woodlands. It often spreads to such an extent that it crowds out species such as Oxlip, shading woodland floors. Dog’s Mercury flowers in February through to April, although it bears leaves throughout the year. It is also, and most importantly, very highly poisonous. 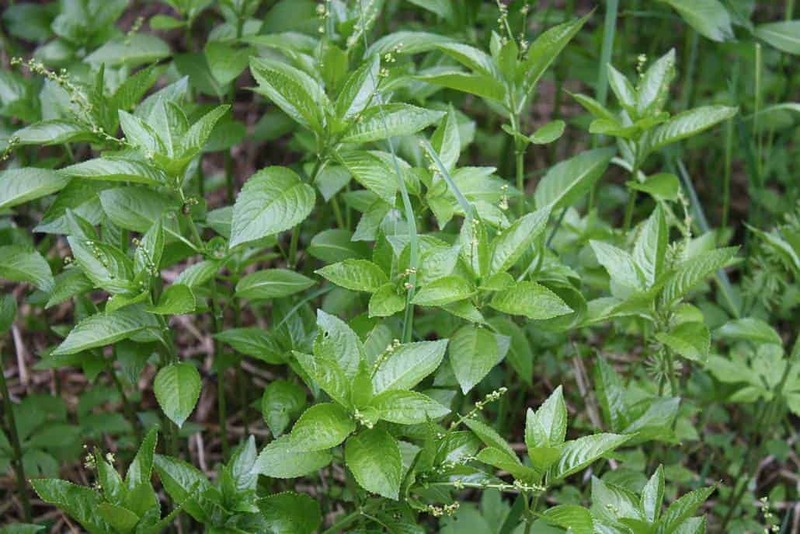 Eating Dog’s Mercury can lead to vomiting, the victim falling into a coma and then death. Wildway Bushcraft uses a small forest axe from Gransfors Bruk. You can find out more information about Gransfors Bruk via the link below. 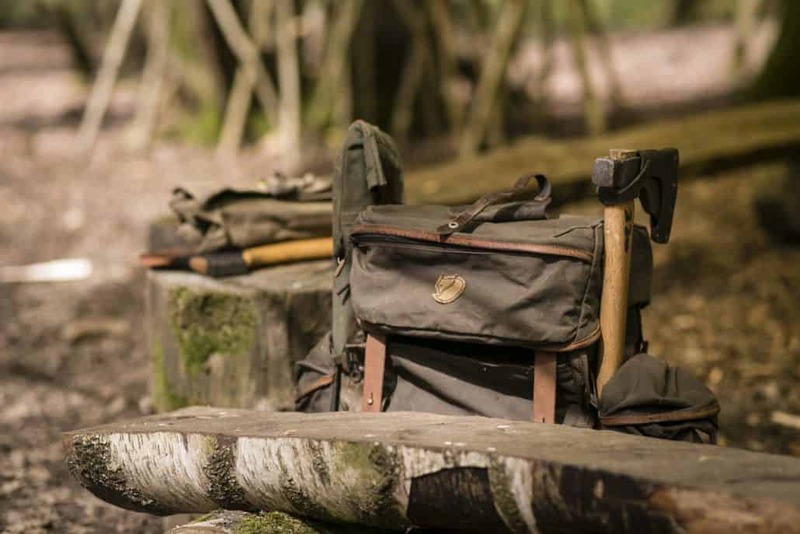 This classic bushcraft pack is hand-made in the UK and mixes a traditional style pack with a modern carrying system. 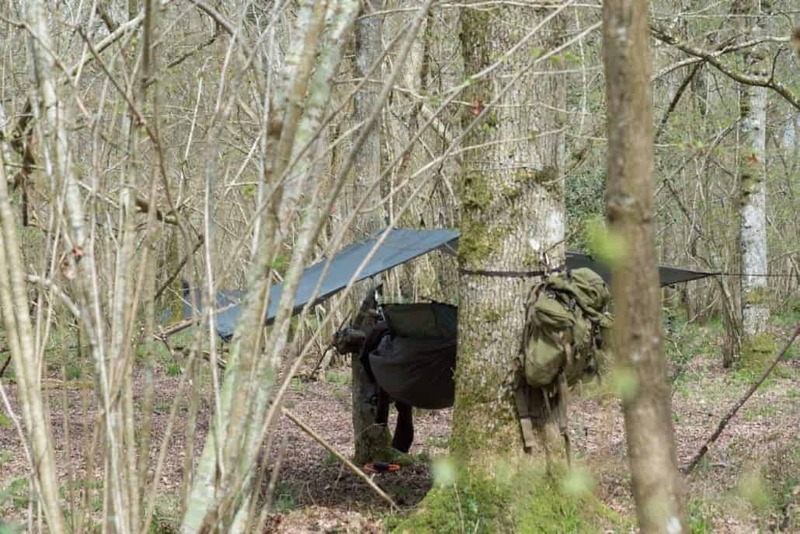 When it comes to bushcraft in the UK there are several additional considerations that you need to be aware of before building a shelter in autumn. Not only will it be colder at night and in the morning, additionally, there will also be less green foliage around to use and it is likely to be damper. 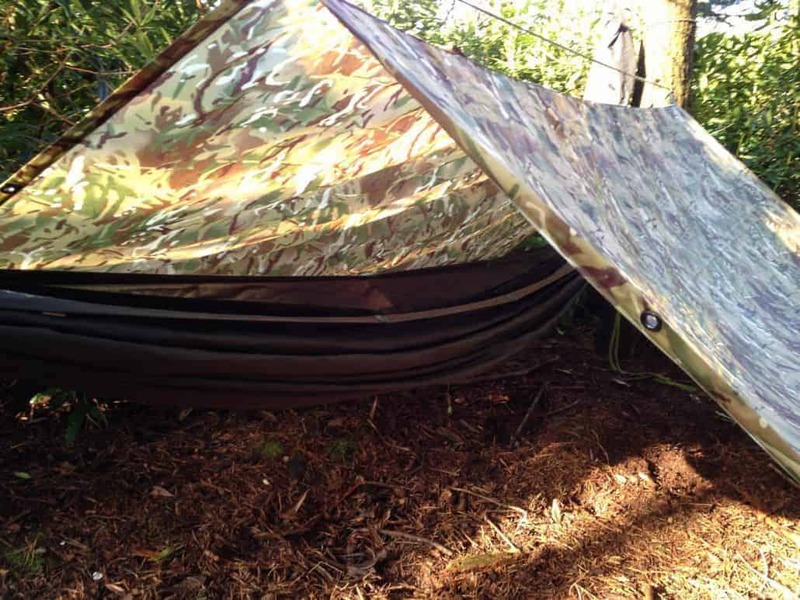 Read on to discover some key considerations when building a bushcraft shelter in autumn and winter. Shelter building can be a long and time-consuming task. It needs to be completed alongside other essentials camp tasks such as creating a fire, stockpiling firewood and sourcing water. In autumn and winter, with daylight hours being limited, it is important to build the shelter that uses energy and resources most economically. 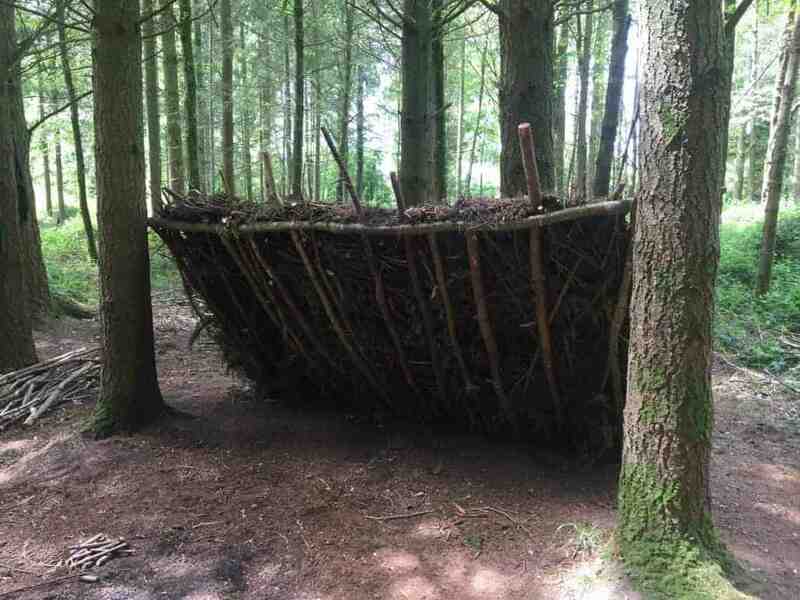 One of the shelters best suited to bushcraft in autumn and winter is the lean-to. This type of shelter, along with the correct type of fire, can provide comfort in cold and even sub-zero temperatures. 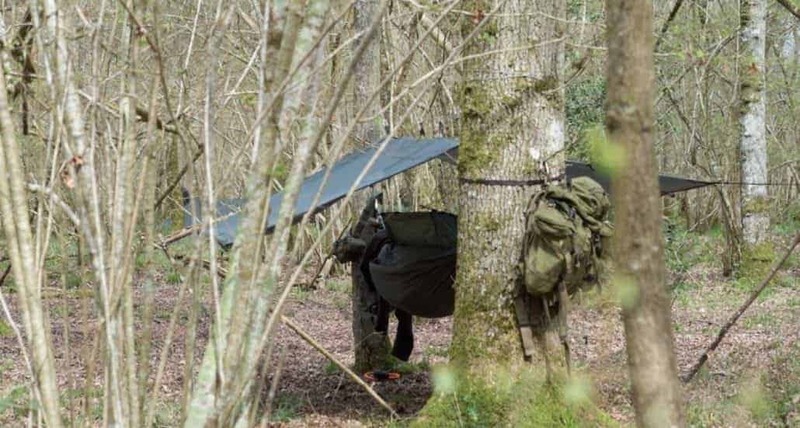 Choosing a suitable location is a cornerstone of any successful bushcraft shelter building exercise, this is even truer in the autumn and winter when materials might be in short supply. A lean-to shelter can require a lot of resources; small trees will need to be felled and split into suitable lengths and more wood will need to be gathered for the fire. While there is the adage ‘wood will warm you twice, once when you collect it and again when you burn it’; you need to be careful not to exhaust yourself as this could have serious consequences, especially in colder weather where hypothermia is a risk. Look for a location that is rich in trees, such as pine or birch and close to a source of water. 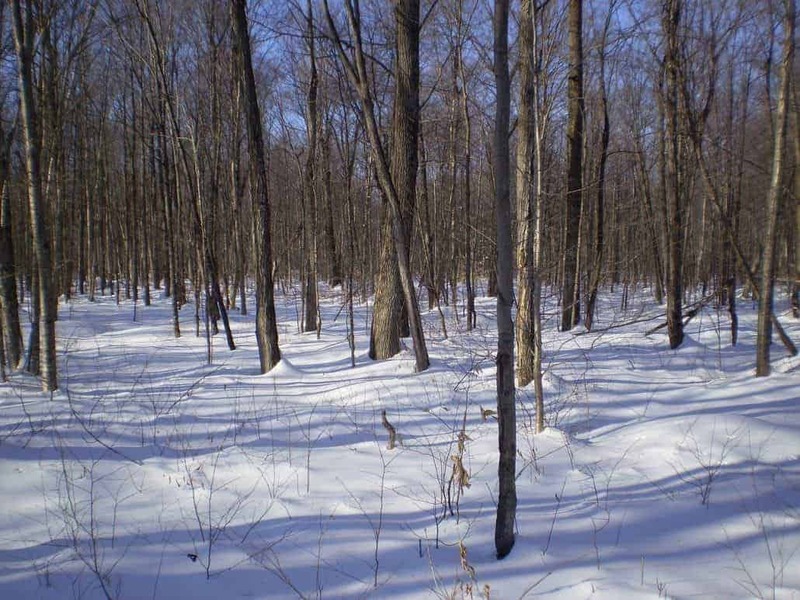 The dense tree cover of a UK woodland will keep your lean-to shelter relatively free from snowdrift. As we previously mentioned lean-to shelters are resource heavy, needing either the felling of several small trees of the cutting to size of fallen dead wood. For these purposes, you’re going to need both a reasonable size bushcraft axe and a hand-held saw, such as a Silky saw or a laplander. The construction of a lean-to shelter in autumn and winter conditions also requires the construction of an appropriate fire. For warmth in a lean-to shelter, it is hard to beat a long-log fire. The logs that you are using for this fire (once it has been started) should be of a fair size, akin to the thickness of a telegraph pole, so that they will burn through all night. Finding logs of this size will most likely require the felling of standing dead wood. We will be showing you how to build a long log fire in more detail later in the year. 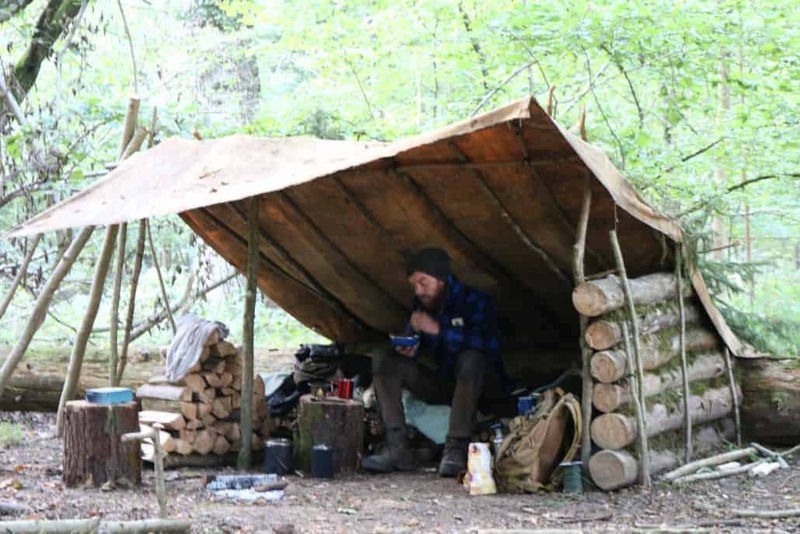 One of the often overlooked considerations of building a bushcraft shelter in the autumn, or at any time of the year, is the environmental impact of your shelter. Of course, in a genuine survival situation then this should slide down your list of considerations, however, bushcraft is not about survival. Rather, it is about living in harmony with nature in a relaxed and enjoyable manner. The proficient bushcraft person is at home in the woods, working without haste or panic and in harmony with their materials. With the above in mind, you should consider the environmental impact of building your shelter. Do you need to fell trees or can you use what is to hand? 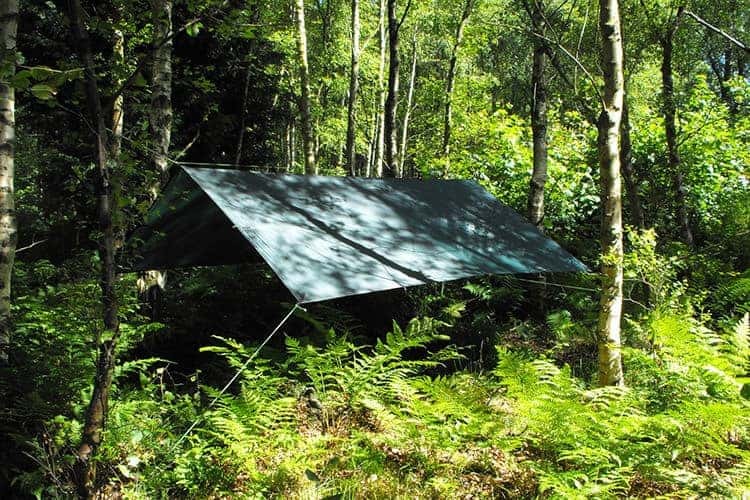 Is there a natural feature which can help you in constructing your shelter? Is the location of your shelter close to any wild flowers or plants that it might damage? Look around you and see the woods as a whole, use what is easily available to help you to achieve your aims. There’s no doubt about it, winter is well on its way and summer a distant memory. Winter in the United Kingdom, as with everywhere else, brings with it wonderful changes in the natural world. 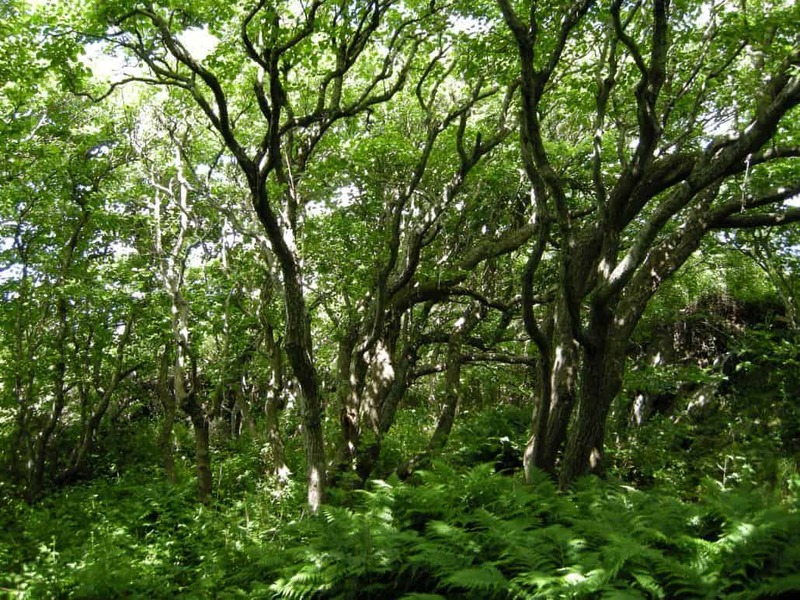 One of the most dramatic changes occurs to trees. As leaves fall and they take on a totally different character making it much harder to identify deciduous trees in the winter. Keen students of bushcraft should be able to identify trees in winter as well as summer. 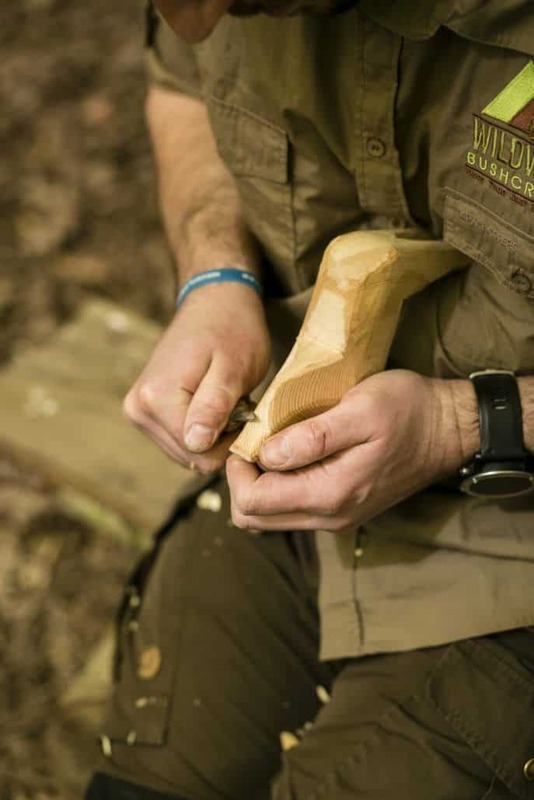 This skill is a foundation of bushcraft on which all further skills are built; after all, you can’t make a bow drill if you can’t identify the most appropriate type of wood to use. 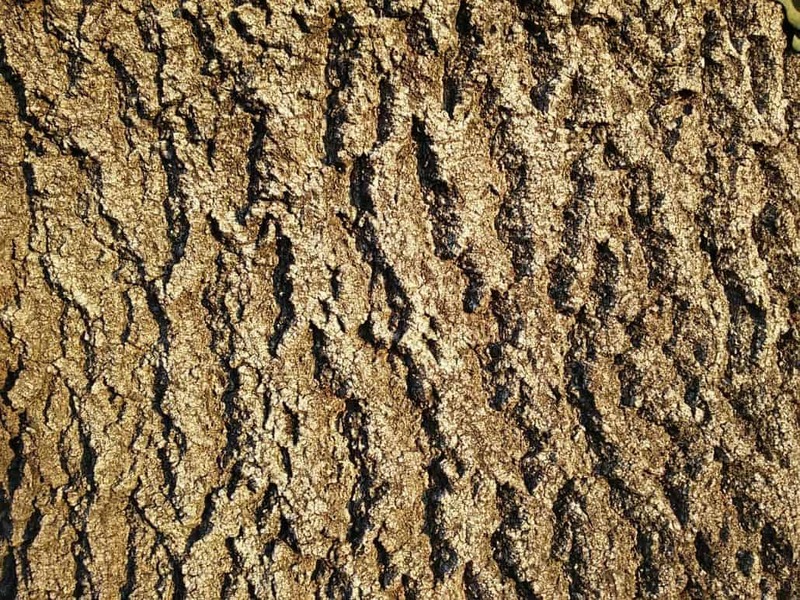 Bark of the ash tree. Ash or Common Ash or, if you would prefer the Latin Fraxinus excelsior is a tree found throughout Europe. It is native to the United Kingdom and, in the right conditions, can live for up to 400 years. Fully grown ash trees can reach a height of around 35 meters (around 115 feet). 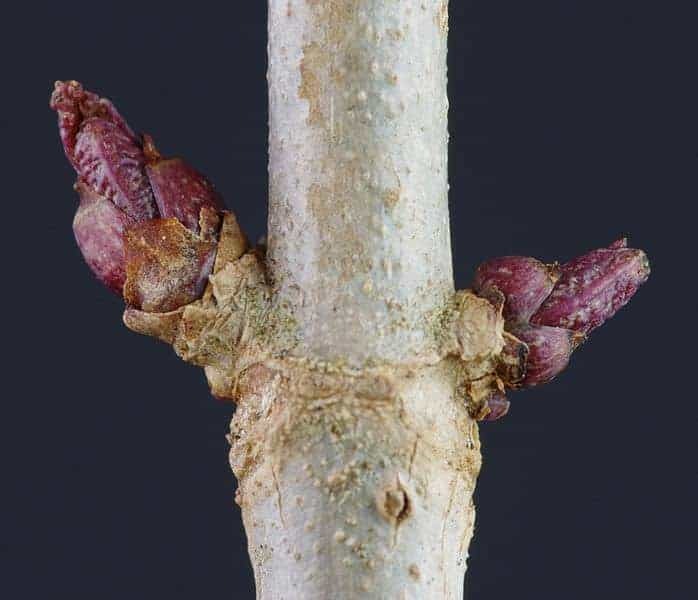 Ash trees are dioecious, this means that male and female flowers normally grow on different trees, although in some cases male and female flowers can grow on the same tree, although on different branches. In the winter months, after the leaves have fallen, ash trees can be identified by its bark which is either grey or a greyish-brown. With older trees, the bark can grow to feature deep ridges. The tree’s distinctive black buds are also a key feature for identifying ash trees. Ash has a great number of uses in UK bushcraft. Dead, standing wood from the ash tree makes for great firewood, and it is also a favoured tree for making bows. The Silver Birch or Betula pendula is native to Europe and the UK. 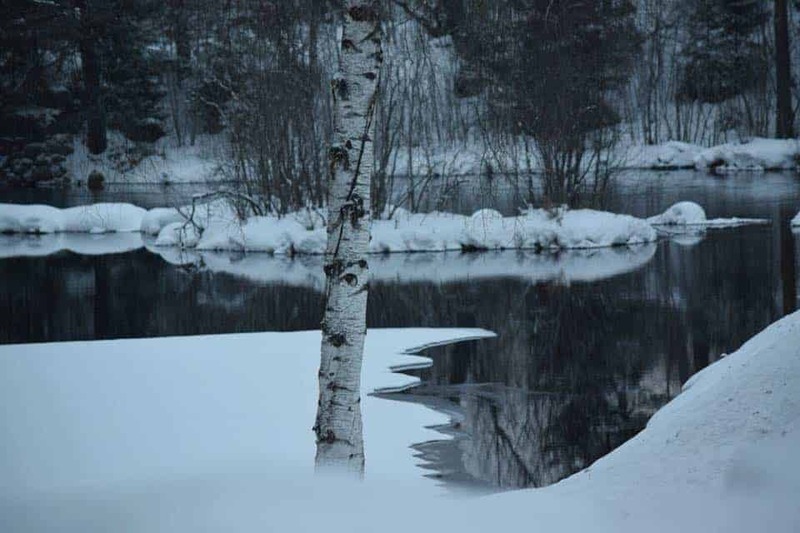 The presence of silver birch trees can often help improve the soil quality, helping other surrounding plants to grow. 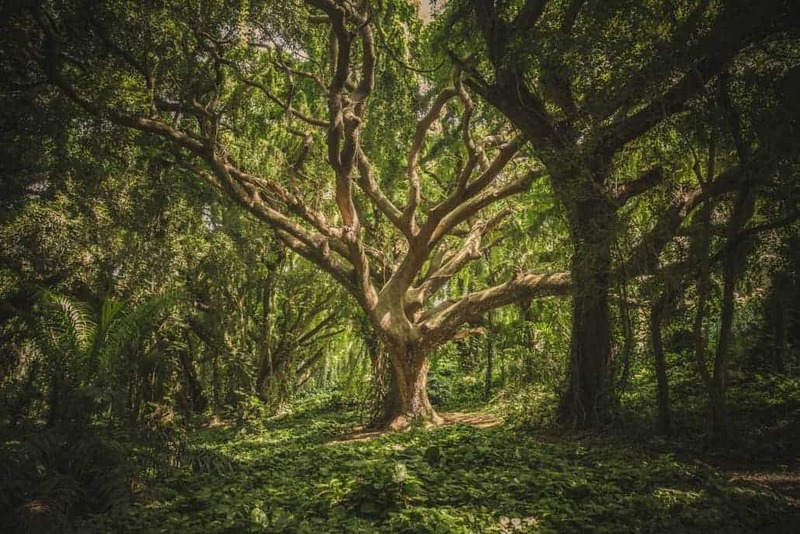 This is because the roots of the tree go deep into the earth, drawing up otherwise inaccessible nutrients to the tree, these nutrients are then recycled on the surface when the leaves fall from the trees. Silver birch is one of the easiest trees to identify. Its white, or silver, bark remains that colour all year round, in addition, the tree can be identified in winter through its twigs which are rough to the touch. 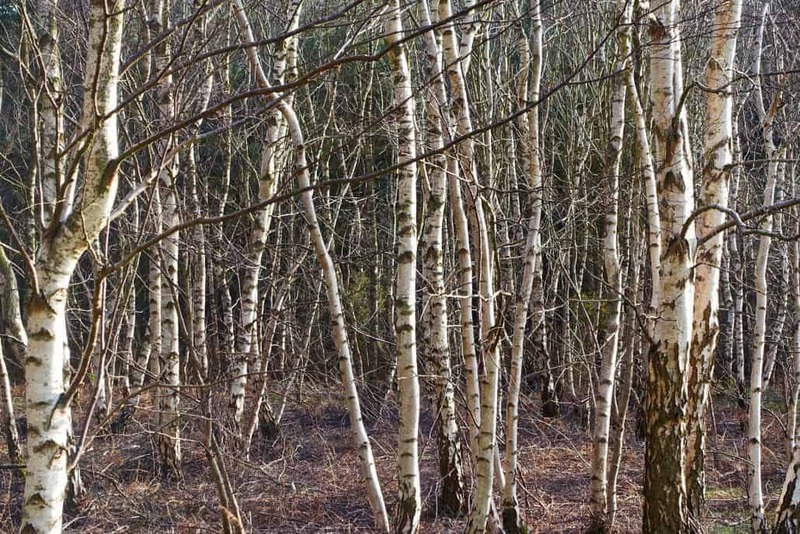 Silver birch is one of the most useful trees when it comes to bushcraft. Most importantly, in winter, its bark can be used in fire lighting. To learn more about how the bark from the silver birch can be used in fire lighting watch our video below. Elder, Sambucus nigra in Latin, is native to the UK and throughout much of Europe. Apparently, the name comes from the Anglo-Saxon word ‘aeld’ which means fire, due to the fact that thehollow stems are used as bellows to blow air into the centre of a fire. In winter elder can be identified through its green and distinctive smelling twigs and ragged buds which often have leaves showing through the bud scales. Elder has several uses in UK bushcraft. It typically grows near rabbit warrens, providing a good indication of a source of food, the flowers can be used to make wine, cordial or tea. The berries, while mildly poisonous, can be eaten if they are cooked first. Corylus avellana or hazel, is native to the United Kingdom. Hazel trees can live for up to eighty years and reach a height of 12 meters. 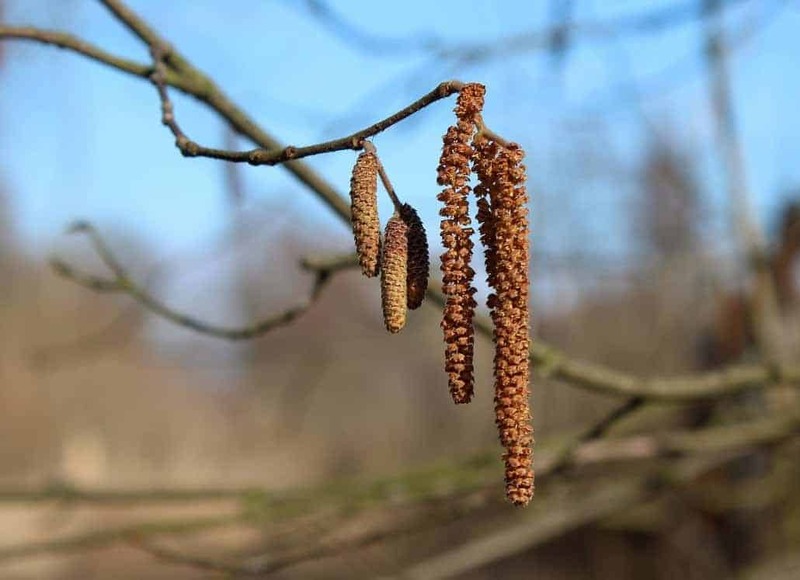 Hazel trees are associated with doormice, doormice fatten themselves up for winter by feasting on the hazelnuts and, in the spring, doormice eat caterpillars that are found on the leaves of the hazel tree. Hazel trees are also associated with magic or myth and has been thought to ward of rheumatism, to encourage fertility and was considered the ‘tree of knowledge’ in Ireland. 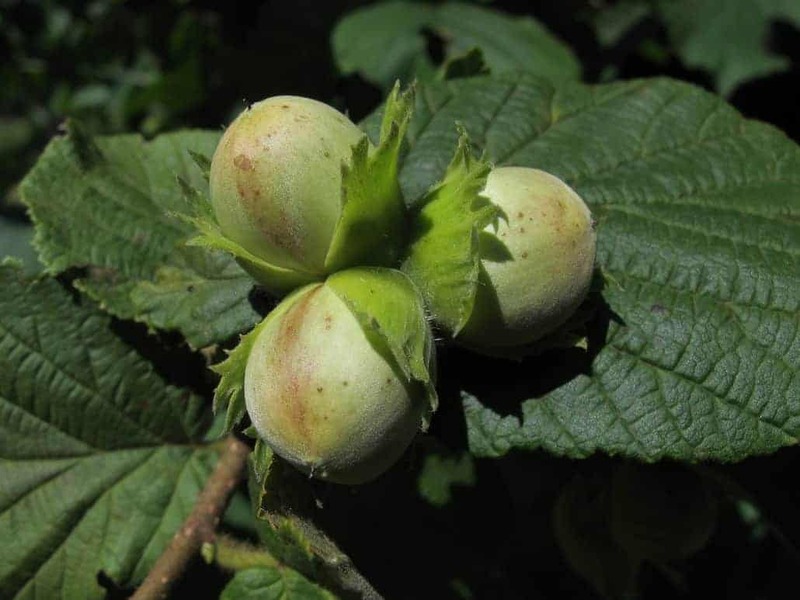 Hazel is best identified in winter by the small nuts that are held in short leafy husks which cover about three-quarters of the nut. In autumn it is likely that the tree will bear small catkins, though these are not likely to be found in winter. Hazel is perhaps best known for its flexibility, this makes it an ideal material for shelter building. It is also a favoured wood for being used in bow drills. Hazelnuts, of course, are also an excellent source of nutrition, containing over 600 calories per 100 grams. The beech tree, orFagus sylvatica, is native to southern England and South Wales. Beech trees are also found across Europe from southern Sweden to northern Sicily. 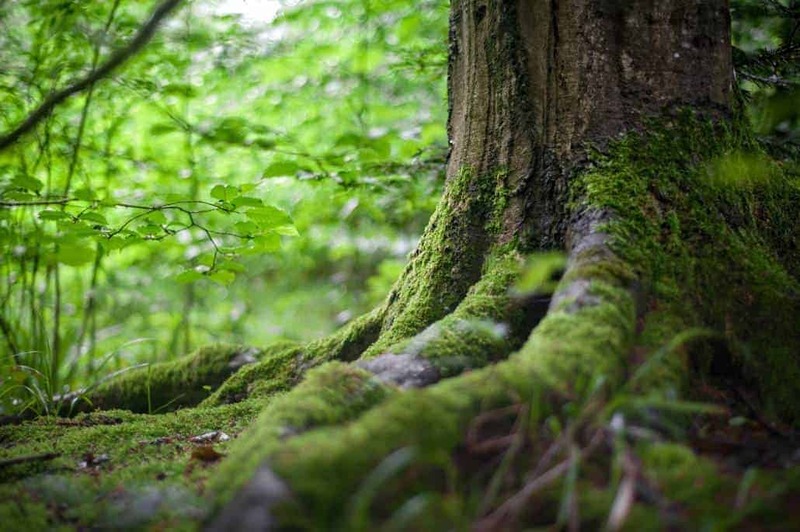 They can live for hundreds of years, some coppiced trees can even live for around 1,000 years. The tree has a long-standing association with femininity and is considered the ‘queen’ of British trees. Historically, it was thought that beech trees have medicinal properties. Beech trees can be identified in winter by its sharply pointed leafy buds. See the image below for an example of these buds. Beech trees are notorious for dropping their branches, often called widow makers, hence never camp under a beech tree! Dry beech leaves can be used for tinder and the wood can be burned, although it doesn’t burn as well as ash. 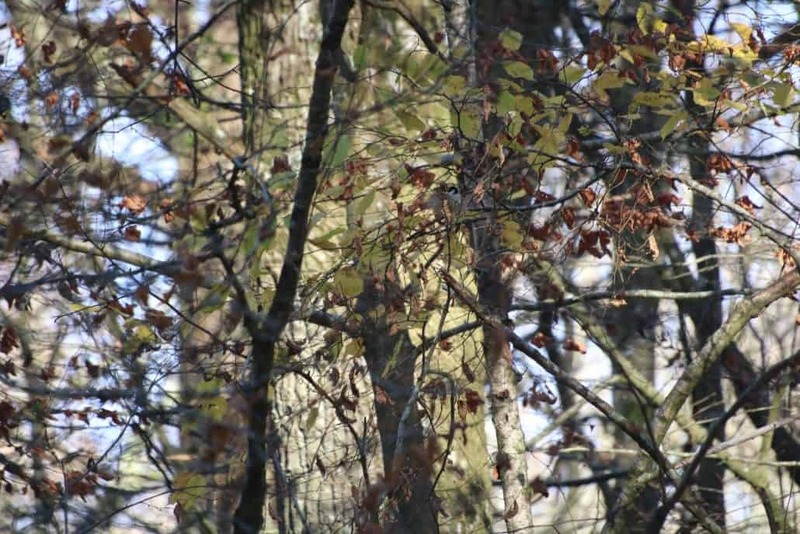 In this blog, we’re going to have a look at some of the things that change in our woods in autumn. As all skilled bushcraft practitioners know being in tune with nature is the key to improving one’s skill set. Every time we go out into the woods it is important to look around and take it all in, this blog will help you do just this by providing you with some autumn characteristics of UK woodlands to look out for. Autumn doesn’t just bring with it a change of colour in the leaves, it also brings a change in animal behaviours. Here are a few to look out for. Falling temperatures and declining availability of foods cause some species of birds to migrate throughout the autumn. Keep an eye out for birds such as Swallows which migrate from Europe to Africa in the winter, returning to their feeding grounds in spring. There are other less long-distance migrants, altitudinal migrants – those that migrant short distances from north to south – include Skylarks, Meadow pipits and Snow buntings. For more information see the RSPB’s website here. Hedgehogs, dormice, and bats consume large quantities of fruit, nuts, and insects in the run-up to winter in order to increase their proportions of body fat and prepare for their hibernation. For larger animals, such as deer and boar, autumn can be a busy time of the year. These animals are all seeking mates, so while it is a good time of the year to see them it is best to keep your distance. Autumn is a great time of year to spot fungi. Remember though, never eat anything that you have not 100% positively identified as safe. 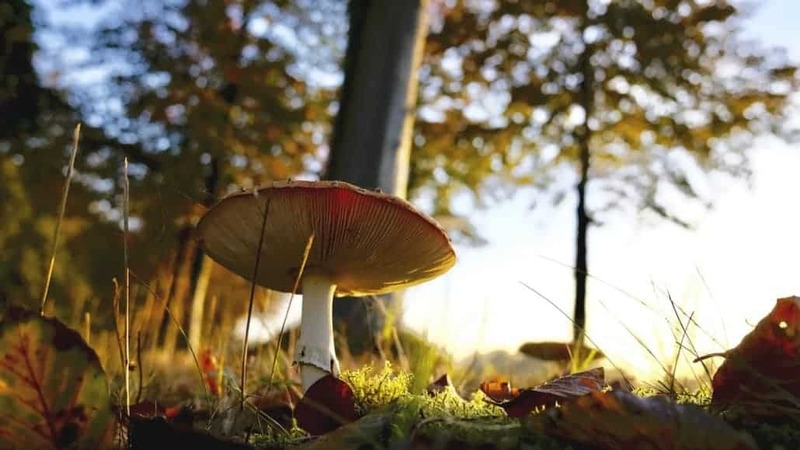 The kingdom of fungi is an enormous one, with over 15,000 species in the UK alone. The Woodland Trust outlines several of the most common types of fungi found in the UK,here on their blog. The UK woodland is a fantastic sight in autumn. The deciduous trees are losing their leaves and the woods are carpeted with an amazing array of colours. 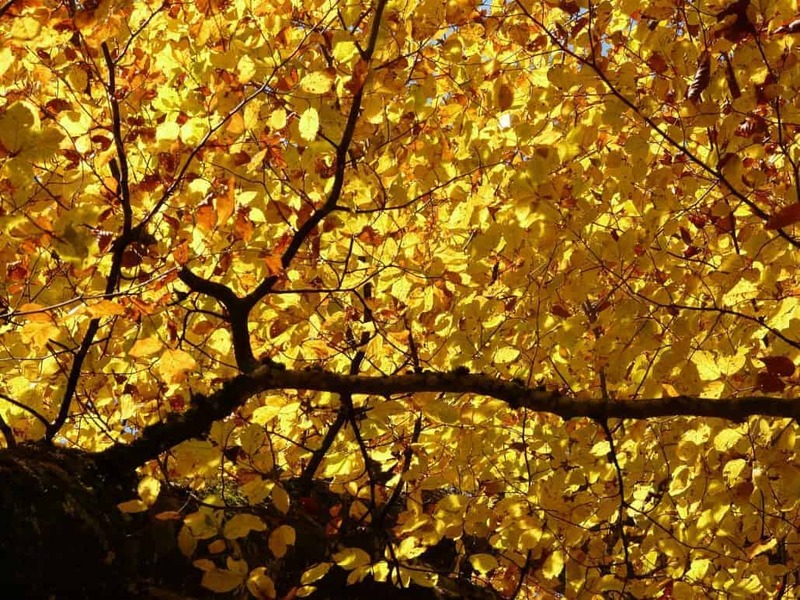 Identifying deciduous trees in autumn and winter is a key bushcraft skill that will help you with other bushcraft skills including friction fire lighting and shelter building. The Woodland Trust has an introduction to identifying trees in the UK in autumn and winter in their blog here. 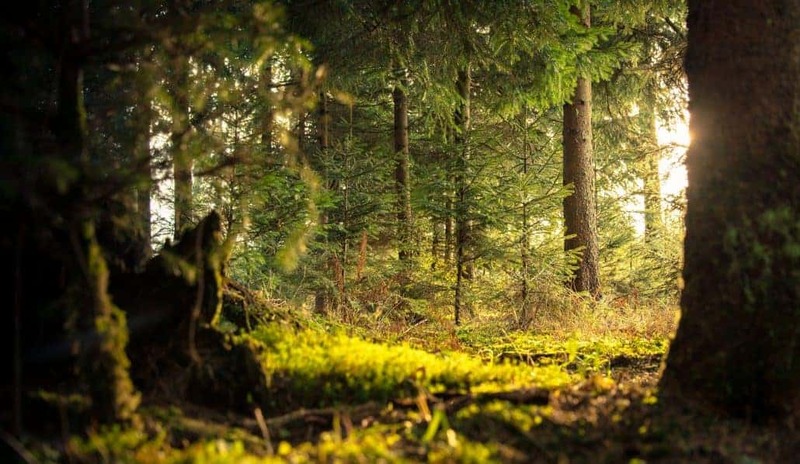 Autumn is a fantastic time to get out into the woods and practice your bushcraft skills. 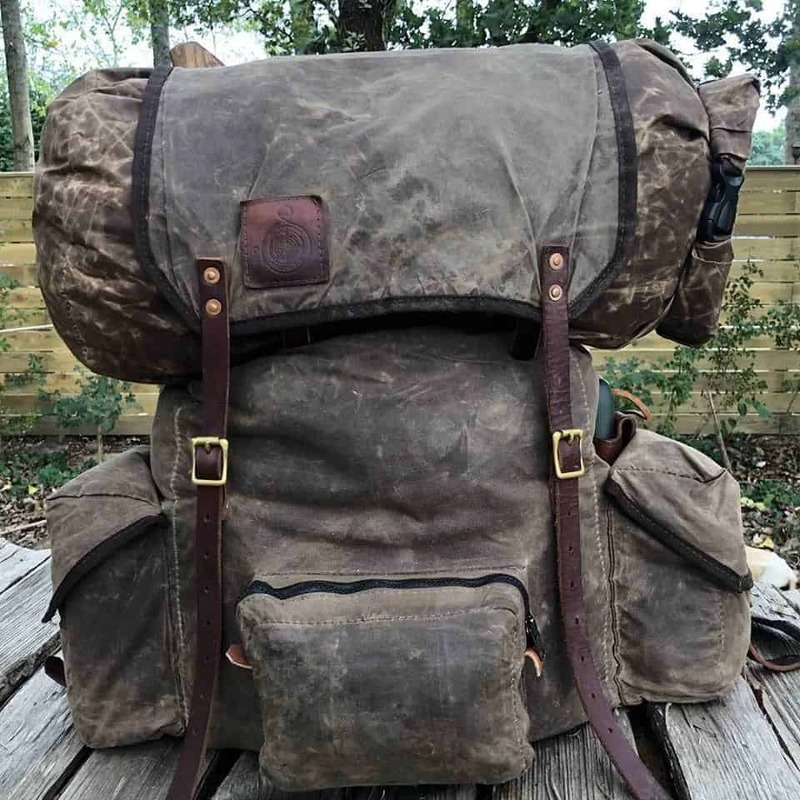 We’ve listed some equipment below that might come in handy when practicing your autumn bushcraft. Please note that aside from Bear Blades Wildway Bushcraft is not associated with any of the brands or pieces of equipment listed below – we don’t get anything extra if you choose to purchase one of these items! Here are some other blog posts that might interest you. Use the arrows to navigate. As autumn draws in around us and thoughts turn to winter our bushcraft practices adapt and change with the seasons. 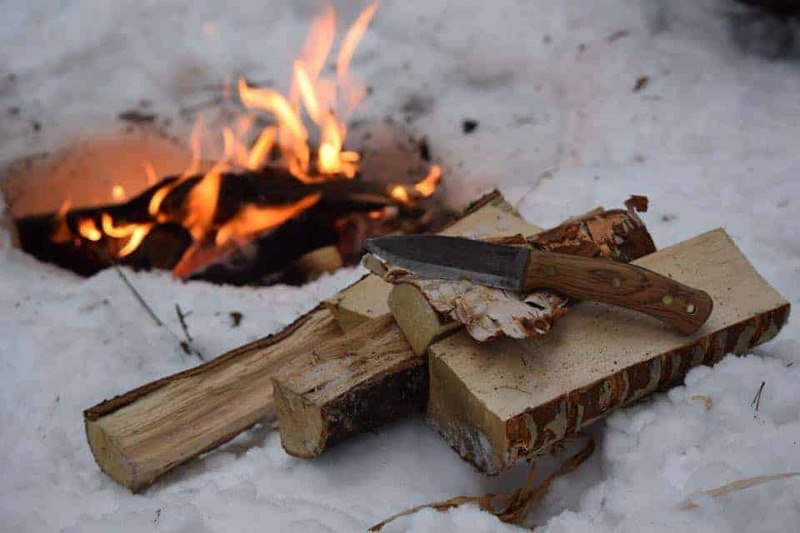 Though we might not have as much snow this year as we did at the start of 2018 there still might be enough to practice one of the most essential winter bushcraft techniques; lighting a fire on snow. In this blog, we will briefly recap the basics of fire lighting and then discuss some techniques for lighting a fire on snow. Read on to learn more or skip to the section that interests you the most. We’ve covered the basics of fire lighting in detail here, but essentially it comes down to correctly gathering and preparing your materials, not rushing or skipping any stage of the process and ensuring that you have all of the materials that you will need before lighting your fire. 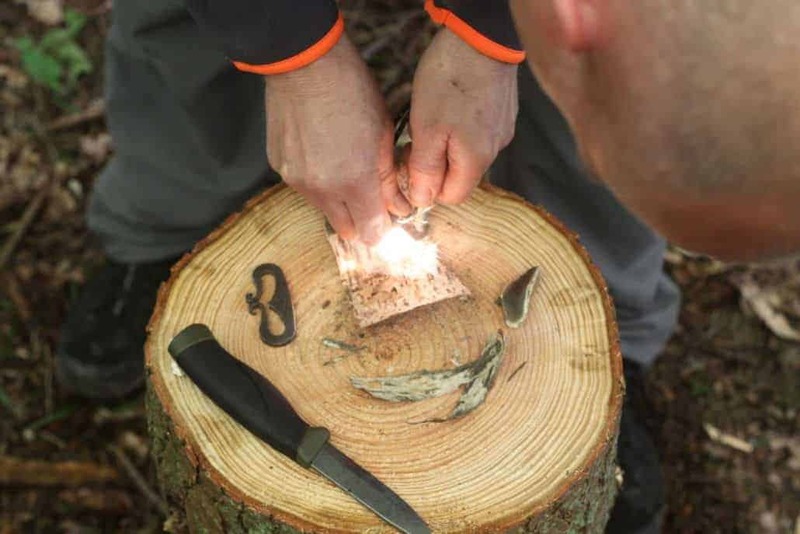 If you are interested in more advanced fire lighting techniques then why not join us on our one-day friction fire lighting course or our weekend bushcraft course. Before starting to attempt to light a fire on snow it is worth asking yourself it is worth the effort. If you are already cold, tired and wet, in short, if it is coming close to a survival situation, then you need to be sure attempting to light a fire will not exhaust your remaining energy reserves. You will need to judge each situation on its own merits and make your own decisions based upon the situation and your confidence in your skills. When it comes to lighting a fire on snow the key thing to remember is that it melts. This means that building a fire directly onto the snow itself will not only get your tinder wet but will also, should you manage to get it lit, melt the snow beneath it and disappear into it. 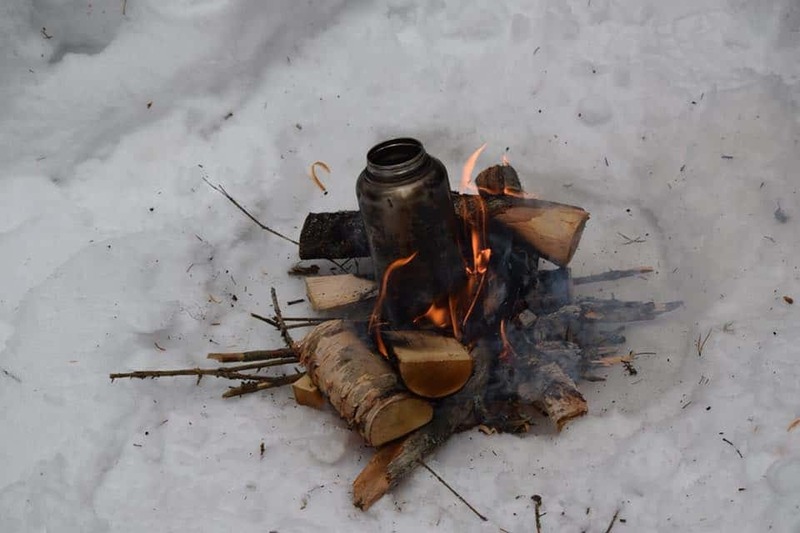 One of the easiest ways to construct a fire on snow is to build a platform, either consisting of split logs or stones and place your tinder on top of it. This will give you a dry and firm base on which to light your fire. If the snow is of a reasonably shallow depth, like the kind that we might experience in the south of the UK in winter, then it is a better idea to dig down. Removing the snow until you have reached the level of the earth and then constructing a base on this earth (so as to keep the moisture out) will not only insulate the fire but will also ensure that it doesn’t melt the snow. Successful fire lighting depends on good preparation, in any weather, however, this goes double when there is snow on the ground. Ensure that you have plenty of dry tinder with you, and ideally keep it in your clothes where it can’t get damp, and plenty of firewood to keep the fire going throughout the night. Here are some pieces of kit that you might find useful when lighting a fire. Please note that aside from Bear Blades Wildway Bushcraft is not associated with any of the brands or pieces of equipment listed below – we don’t get anything extra if you choose to purchase one of these items! DD 3×3 Tarp The DD 3×3 Tarp is a classic of the camping world. You can read our review of it here. Swedish Fire Steel This Swedish Fire Steel from Light My Fire is a great way of causing sparks and igniting your tinder. More reliable than either matches or a lighter you shouldn’t be in the woods without one. Lighting a fire in damp conditions is a vital bushcraft skill. 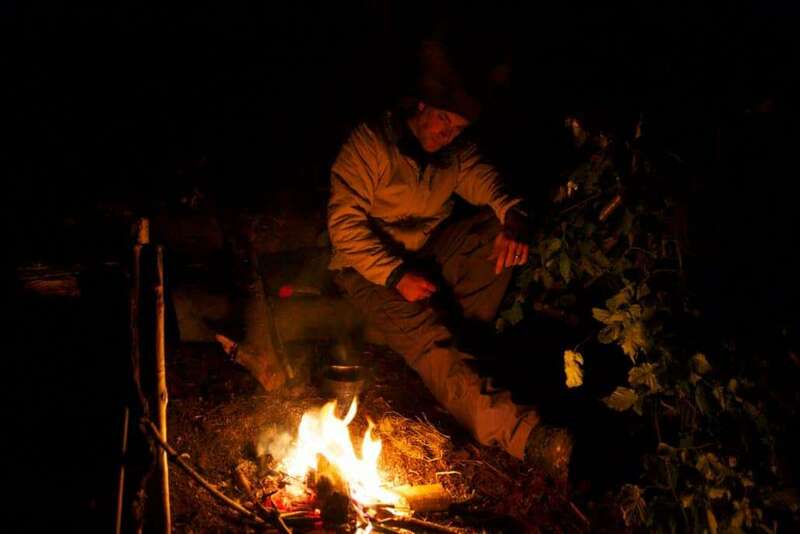 Fire is key for keeping warm, cooking food and a whole host of other bushcraft activities; as with all elements of bushcraft the real skill comes in being able to do it in less than ideal conditions. This week, we’re going to look at how to light a fire in damp conditions. This will include a recap of the basics of fire lighting, a look at some basic axe techniques and a video of how to make feather sticks – a very useful tool when it comes to lighting a fire in the rain. Feel free to read the whole blog or skip to the sections that interest you by clicking on the links below. No matter what the conditions are, successfully lighting a fire relies on following some basic principles. In this section, we’re going to quickly recap some elemental fire lighting principals. Never rush these as getting the basics wrong will make it much harder for you to succeed in lighting a fire and therefore cause you to waste more energy than is needed. Successful fire lighting begins with finding appropriate tinder. Whether this is natural tinders such as birch bark, or tinder that you have brought with you, such as balls of cotton wool. In damp conditions, you will need more tinder than you would in dry conditions. If it is going to be damp it is better, if at all possible, to plan in advance and bring your tinder with you. After all, you don’t want to have to spend time looking for tinder when you are already cold and wet. Now that you have more tinder than you think you might need, it is time for kindling. Kindling is small twigs or sticks no more than pencil thickness. It very important that kindling is dry, we will look at how to find dry kindling in damp conditions later in this blog. After gathering kindling of pencil thickness, collect sticks that are around as thing as a thumb. If wood this size is not readily available it can be made by splitting thicker pieces of wood into smaller individual pieces. After the thumb-thick pieces of wood, it is time for larger pieces of firewood. You need to several pieces of firewood of steadily increasing size and thickness. Split wood will burn faster than wood that has not been split. 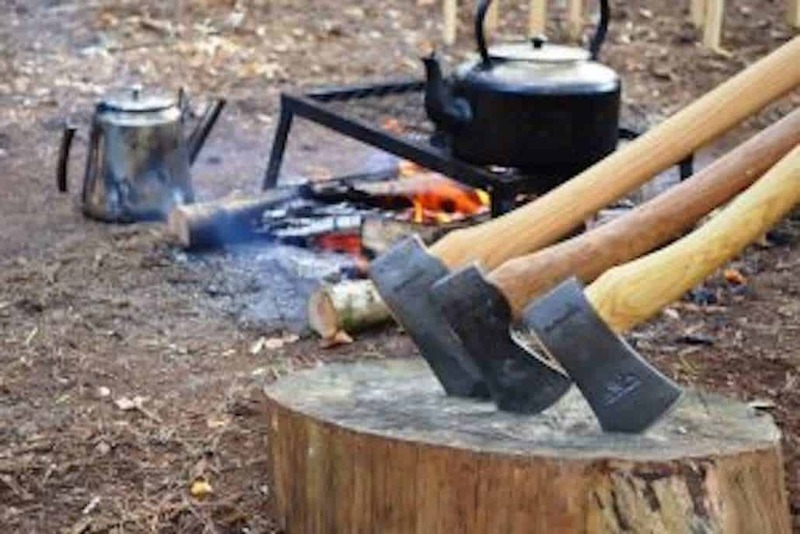 We will look at axe techniques for splitting wood later in this blog. Before lighting your fire it is important to prepare the ground. In damp conditions, it is a good idea to raise your tinder off the ground. This is best done by clearing away any fallen foliage, down to the bare earth and then laying a platform of small, pencil-thick sticks. You can then use this platform to build your fire on. Keeping in mind the basic steps for fire lighting, the first step (after having checked that you’ve brought your tinder) is sourcing dry wood for kindling – or for making into tinder if necessary.Remember, when you’re looking for wood, dead, standing wood is the best for fire lighting. With that in mind here are some tips and techniques for finding wood in damp conditions. One of the most common mistakes is in waiting until you are at your campsite before starting to gather fuel for your fire. Rather than waiting until you’ve arrived at your destination gather materials as you walk into camp. Look for patches of dry ground around trees, such as patches that have been sheltered by the tree’s canopy. If dry, dead, standing wood is not available then look for twigs on the ground under the shelter of the tree. Dry, dead twigs will snap cleanly if pressure is applied to them if the twig does not break cleanly or simply bends then discard it and continue your search. While the outside of the wood, be it a branch or twig, might be wet the chances are that the inside of the wood is dry. Provided that the wood is not soaked through then whittling away the outside of the wood can give you access to the dry wood inside. For larger pieces of wood, you will need to split it either by batoning or by using an axe. We will look at the finer points of both techniques further on in this blog. Batoning is a technique for splitting smaller pieces of wood with a knife. It involves placing the knife on one end of the piece of wood and the other end of the wood on the ground. The back of the blade should then be struck with another piece of wood to force it into the piece of wood that you are trying to split. With the blade of the knife now embedded horizontally into the piece of wood you should now strike the front part of the protruding blade. Strike this part of the knife regularly with equal force each time until the wood is split. When batoning it is important that you use a fixed blade, e.g. not a folding blade, knife. The knife should ideally be full tang, or narrowing tang otherwise you risk breaking the blade on the knife and causing yourself injury. Batoning should only be attempted on pieces of wood that have a diameter that is smaller than the length of the blade of the knife. For larger pieces of wood an axe should be used. Larger pieces of wood will need to be split with an axe. Remember to ensure that you are stood or knelt in such a way that, should the axe slip, it will not strike your legs (or any other part of your body). 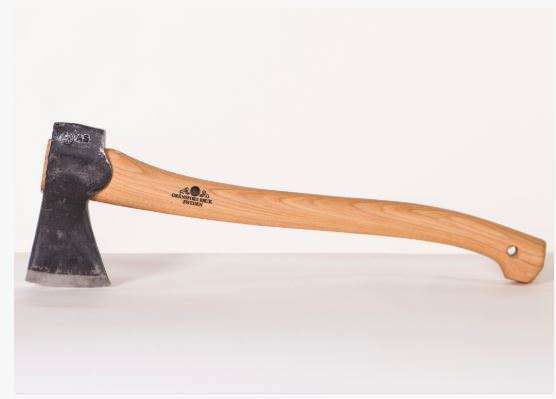 Smaller rounds of wood can be most easily split by holding the axe and the round of wood horizontally together so that the head of the axe is in contact with the top of the round. 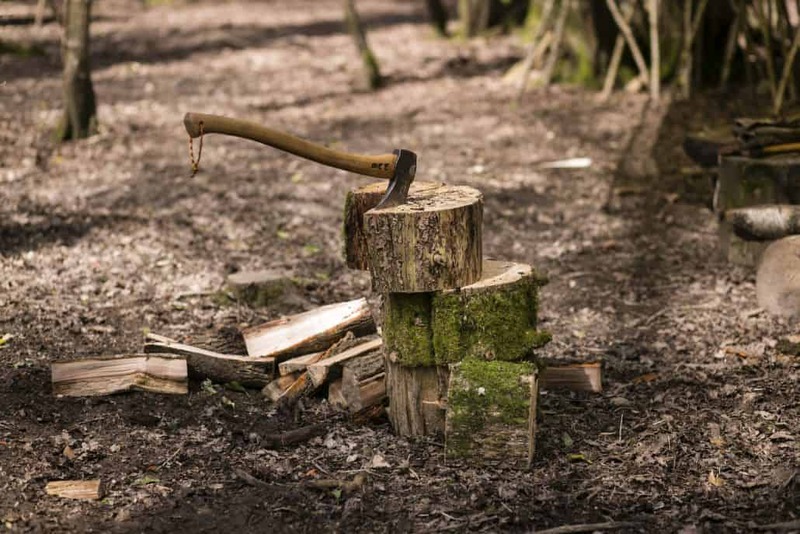 The axe and round of wood should then be brought down together hard on a raised surface – such as a tree stump. Choose a stump about knee height and place the larger piece of wood on this stump at the furthest stable distance away from your body. Position your legs away from the stump so that should your swing miss the axe will not hit your body. Raise the axe to around chest height, ensuring that you have a good two-handed grip on it, then bring the axe down, in a smooth and slow motion, into the wood that you want to split. Remember to let the weight of the axe do the majority of the work. Feather sticks are a great way of lighting a fire when it is damp. 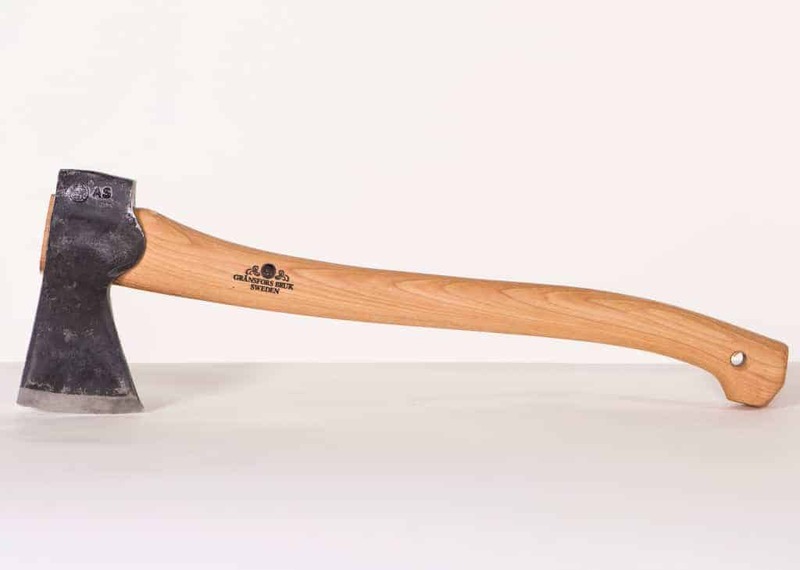 The can be made from small rounds of wood that have been split either by axe or by batoning. Watch the video below to learn how to make feather sticks. Here are some pieces of kit that you might find useful when lighting a fire in damp conditions. Please note that aside from Bear Blades Wildway Bushcraft is not associated with any of the brands or pieces of equipment listed below – we don’t get anything extra if you choose to purchase one of these items! In certain situations, the ability to source clean, drinkable, water from seawater is an essential survival skill. This blog looks at this vital coastal survival skill in more detail, as always feel free to read the whole blog or skip to the section that interests you the most. 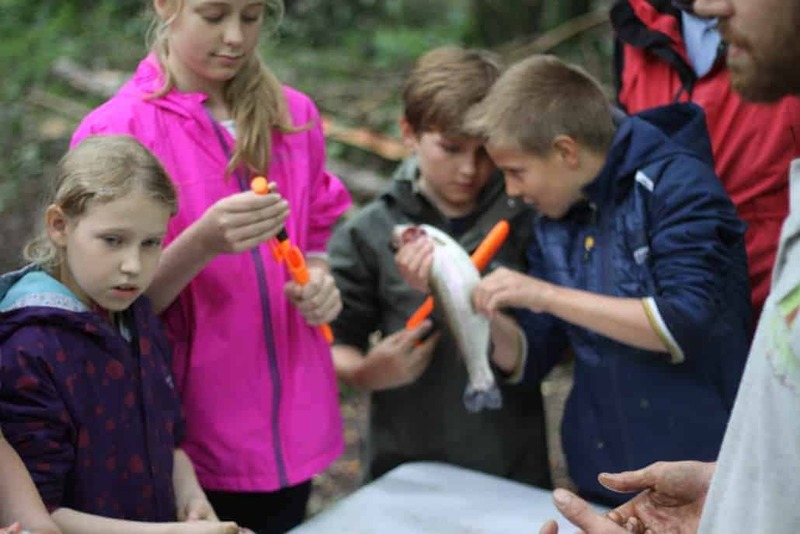 While we don’t yet cover desalination on our current courses we do look at water sourcing and water purification on our weekend bushcraft course and our intermediate bushcraft course. What is the problem with seawater? ‘Water, water everywhere and not a drop to drink’ as the Ancient Mariner said, but what exactly is the problem with sea water? Basically, seawater contains salt and humans can only ingest so much salt. The salt content of seawater is much higher than what we can safely consume. Our kidneys have to produce urine that has a lower quantity of salt than salt water, therefore in order to get rid of the amount of salt consumed by drinking salt water we would need to urinate more than we drink. This would mean that we slowly dehydrate ourselves while becoming thirstier. Removing salt, from salt or rather saline water, involves separating the salt particles from the water particles. The easiest way to do this in the field is through evaporation. This process involves heating the water in one container until steam forms and can be collected in another container. The easiest way to do this is to run a piece of tubing from the first container through which the steam condenses when entering, into the second container. This may not always be practical though so be prepared to improvise the tubing with plastic sheeting angled so that it catches the steam from the first container and allows the water to run into the second. 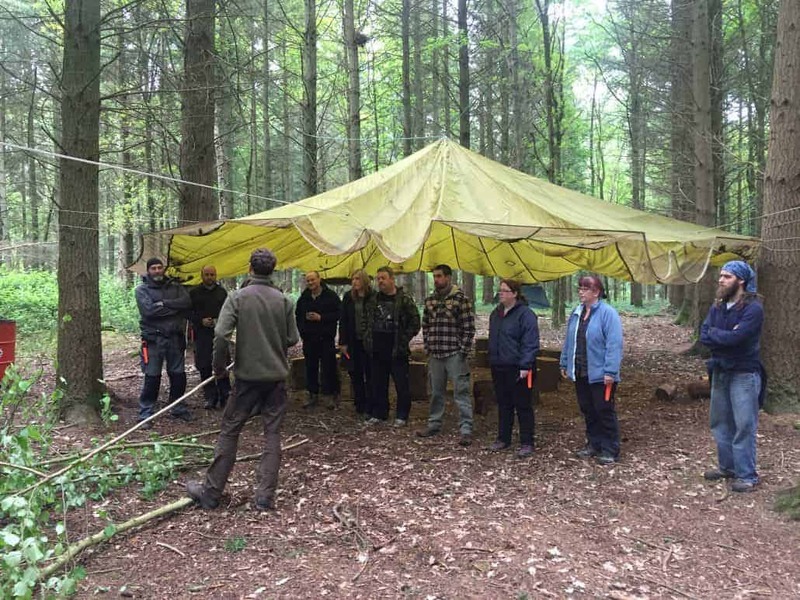 LEARN HOW TO USE AN AXE, BUILD SHELTERS, LIGHT FIRES AND MORE ON OUR IOL ACCREDITED WEEKEND BUSHCRAFT COURSE. Desalination is a complex and energy-intensive process. It can be difficult to get right and consumes fuel supplies. When looking for sources of water in coastal area desalination should be a last resort. Some other methods of gaining fresh water are outlined below. Water moves through plants, including coastal plants, from its roots through to its leaves, stems, and flowers where it evaporates. If the coastal area in which you are looking for water has a lot of vegetation or there is nearby vegetation inland then these plants are an excellent source of water. Simply throw a bag, such as a survival bag over the leaves of a nearby plant. Tie the bag off at the opening over the branch, then wait. In a few hours, the water from the plants should have evaporated and gathered in the bottom of the bag. Coastal areas have water running to them, through the form of rivers or streams. 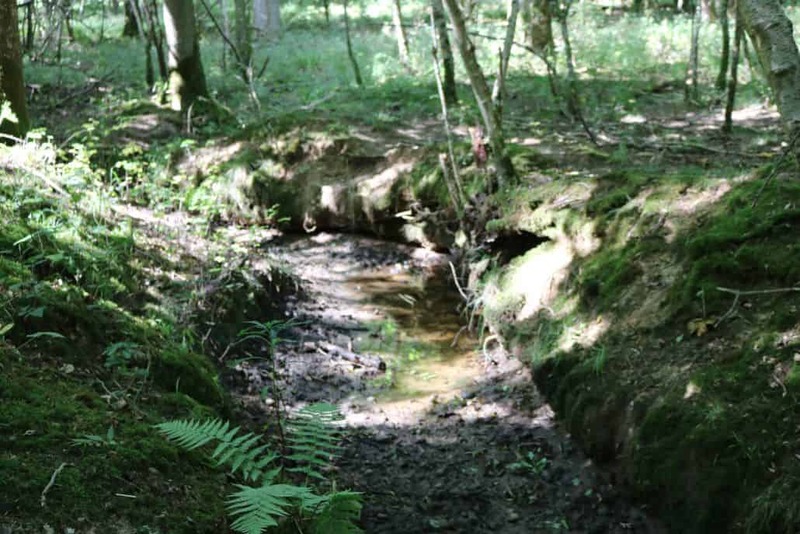 Finding where one of these water sources comes out and then tracing it back upstream will provide you with a source of freshwater. Be warned though that if you select water from a stream close to the beach then it is likely to be saline. 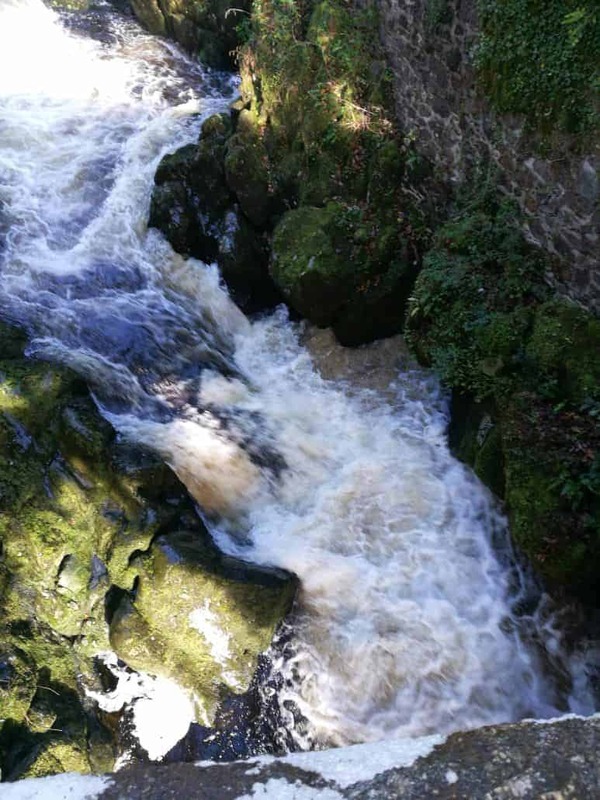 On our weekend bushcraft course, we will introduce you to the principles of water filtration. Although we won’t introduce you to desalination we will show you how to source water and create a basic filter using natural materials. 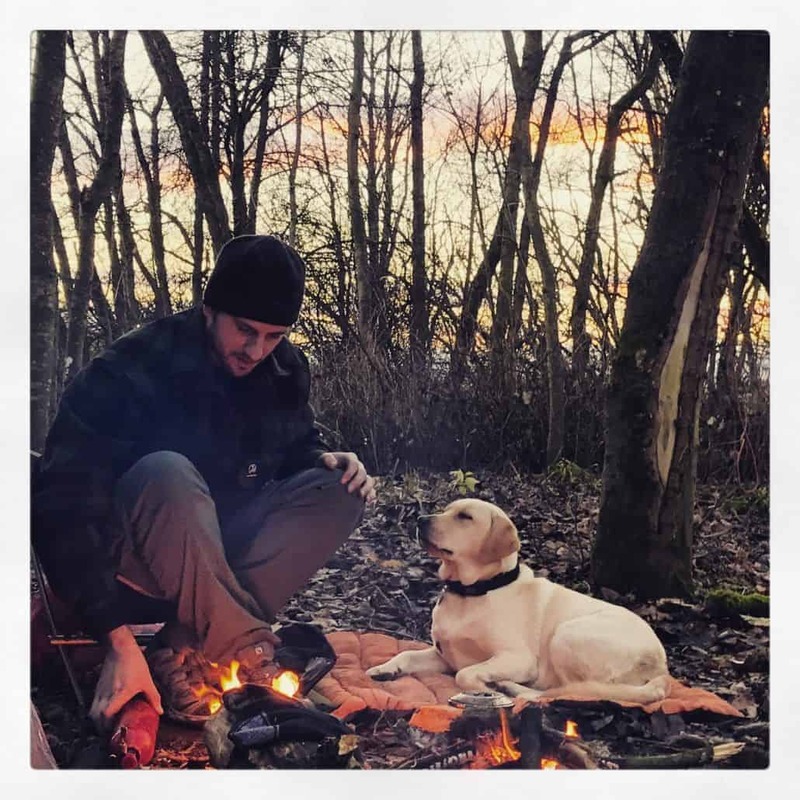 We will also introduce you to the principles of shelter building, friction fire lighting, food preparation (fin, feather, and fur), knife skills, axe skills and many other bushcraft essentials. 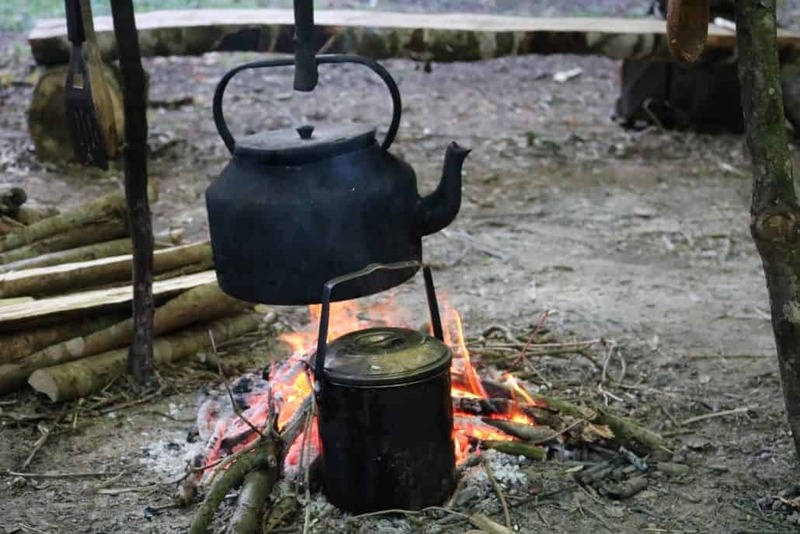 If you would like to develop your bushcraft skills further then our intermediate bushcraft course is for you. 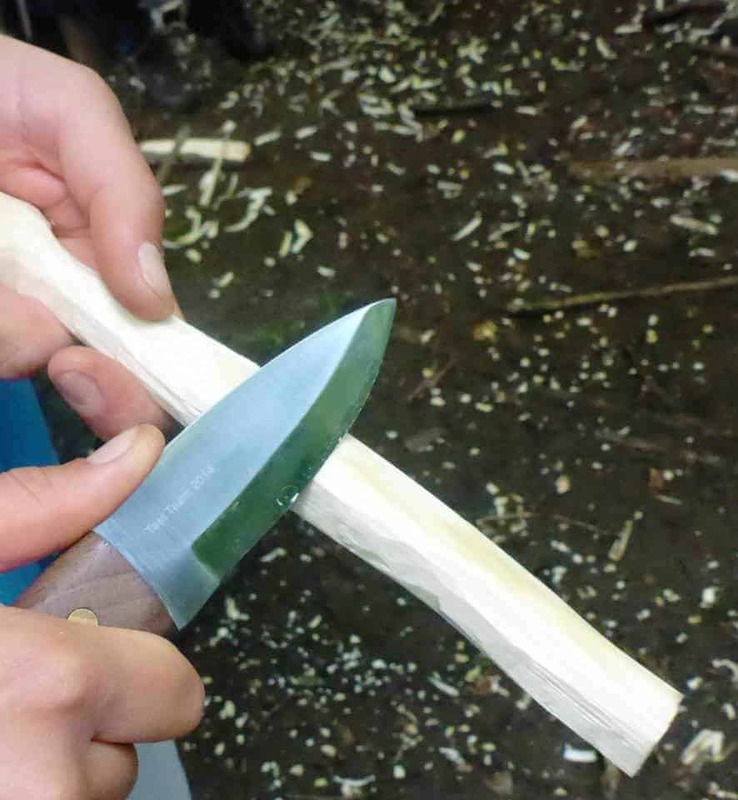 Click here to find out more about our intermediate bushcraft course. Here is a run through of some of our favourite kit, while we don’t use this for water purification we do take it out in the woods with us. Use the arrows below to navigate these related blogs.